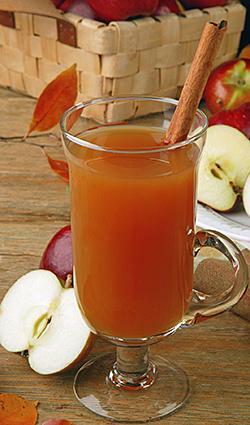 A mulled cider drink, made with fruit juices and warm sweet spices like cloves, cinnamon, ginger and cardamom, Wassail is a hot, spiced punch enjoyed as a holiday tradition throughout the world. Wassail is traditionally mulled with spirits, such as sherry wine, brandy or dark ale, but it',s equally inviting when made with a non alcoholic Wassail recipe. The meaning behind the English word "Wassail" means to be of good health. Historically, to Wassail is to make a toast to good health. Originally derived from English tradition, Wassail recipes nowadays vary from region to region, but all tend to consist of similar ingredients, such as cider, apples and spices like cloves, ginger and cinnamon. 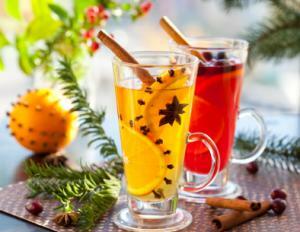 Moreover, Wassail remains one of the more popular traditional Christmas holiday drinks. The inclusion of alcoholic additives is a matter of preference, so here's a toast to good health with a non alcoholic Wassail recipe. An old English recipe for all occasions, this mulled Wassail recipe consists of apple cider, cranberry juice and sweet and savory spices - without all the alcohol. Squeeze juices from the fresh lemons and oranges and set aside. In a large pot, bring the water to a boil and add sugar. Simmer over medium heat for 10 minutes. Secure the spices in a cheesecloth bag before adding them to the water. Mull spices for one hour or more over low heat. Add cider and citrus juices; heat to a rolling boil. Remove the spice bag and serve immediately, or transfer to a crock pot to warm over low heat. Wassail away your Christmas with this hot, spiced and festive cider-punch made with apple cider, apricot nectar and other healthy fruit juices. In a large pot, bring the apple cider to a boil and reduce reheat. Simmer over medium heat for 10 minutes. Secure the spices in a cheesecloth bag before adding them to the cider. Mull spices for one hour or more over low heat. Add the apricot, pineapple and orange juices; heat to a rolling boil. Remove the spice bag and serve immediately, or transfer to a crock pot to warm over low heat. Traditionally, a Wassail recipe usually called for fruit garnish floating amidst the hot spicy punch. The process is relatively effortless. Begin by pushing whole cloves into the rinds of orange slices, and add the orange slices to the hot Wassail. Another traditional method is to bake apple slices smothered in brown sugar and cinnamon. Drizzle butter over the spiced apples and bake them in the oven until they are soft and tender. Remove them from oven and stir the apple slices and cooked juices into the punch and enjoy.